One of my favourite outings of late, was to Avondale Wine Farm in Paarl. Not only was it my first time visting the farm but it was my first time experiencing a Eco Wine Safari. 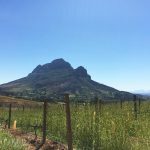 I thought we would take look at What Makes Avondale A Top Biodynamic Wine Farm, as well as what made this experience so special. 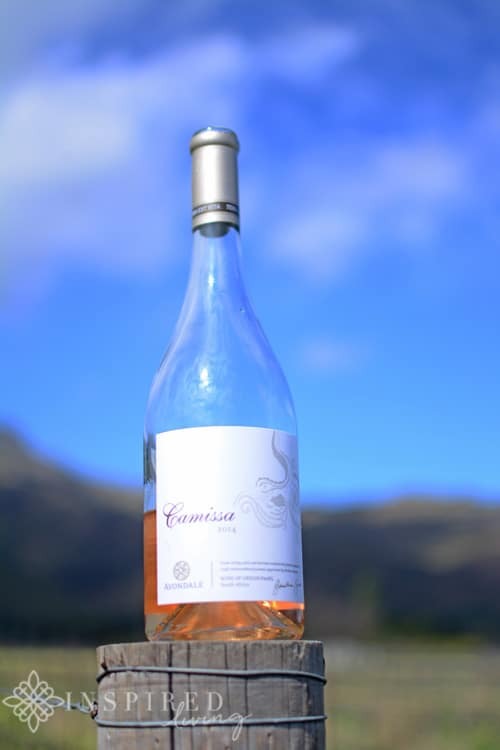 Situated in Paarl in the Cape, Avondale Organic Wine Farm, is as picture-perfect as landscapes get. 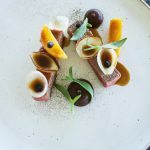 The 300-year-old farm is set at the foot of the Klein Drakenstein mountains and is an easy drive from Stellenbosch and Cape Town. 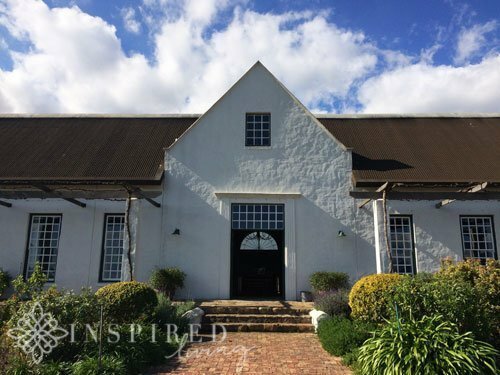 Visitors to Avondale can enjoy a guided tasting of the farm’s seven hand-crafted, classic wines, known as ‘Avondale’s Magnificent Collection’. 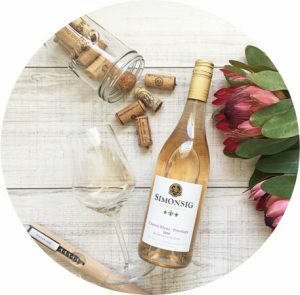 Their hand-crafted slow wines are created holistically, through a combination of time-honoured wisdom, natural farming practices and modern science. One of the highlights of my visit to Avondale, was the Eco Wine Safari. 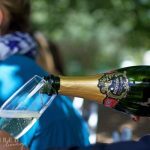 The farm’s Eco Wine Safari provides visitors, with the perfect way of getting acquainted with Avondale’s ethos of Terra Est Vita, which means ‘Soil is Life’. 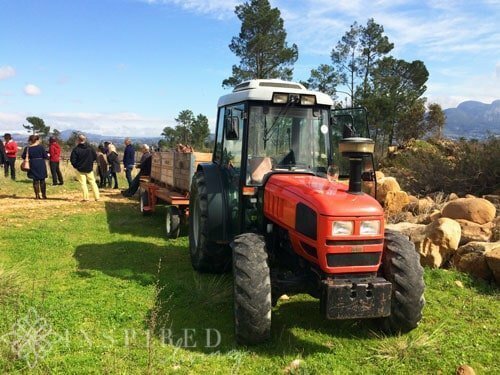 This ethos is the basis upon which proprietor and viticulturist Johnathan Grieve, has built the farm. In essence he believes that healthy soil, produces healthy plants. 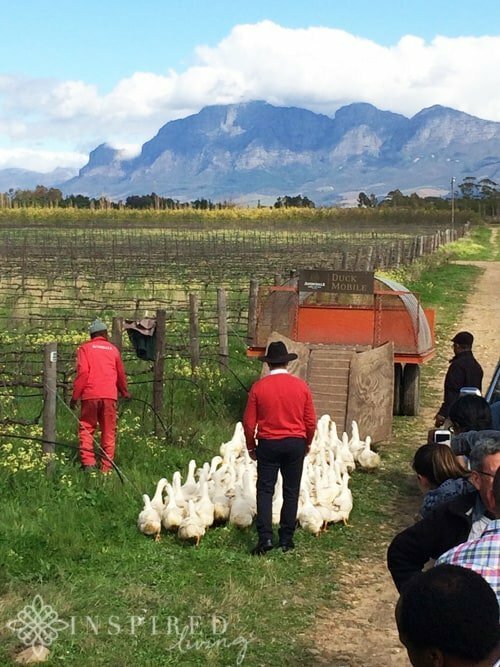 The idea behind the Eco Safari, is to take guests on a fun, interactive and informative tour of the farm. 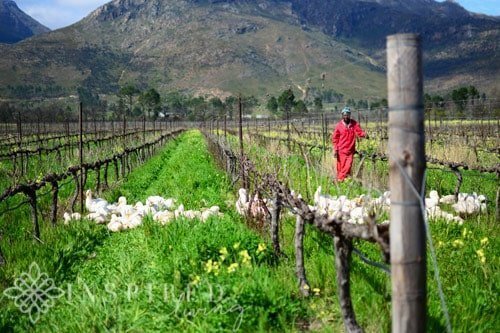 One of the main aims of the safari, is to give visitors a better understanding of the biodynamic agriculture practices, which the organically certified farm incorporates, into the production of its wines. In true “farm-style”, all this happens on the back of a typical farm-style vehicle. 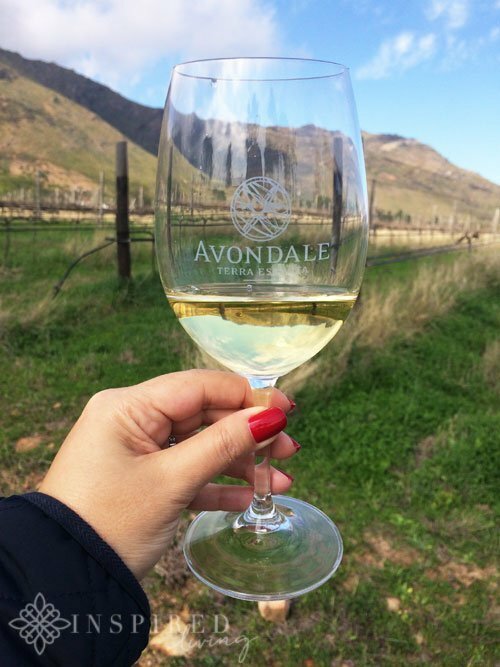 After a welcoming glass of the Armilla Blanc de Blanc, Avondale’s deliciously fresh and lively Méthode Cap Classique, we set off on our adventure aboard our “farm chariot”. The Eco Safari, which winds around the farm, explores over 300 hectares of cultivated land and indigenous terrain, including the natural wastewater system, which is made up of three interlinking dams. 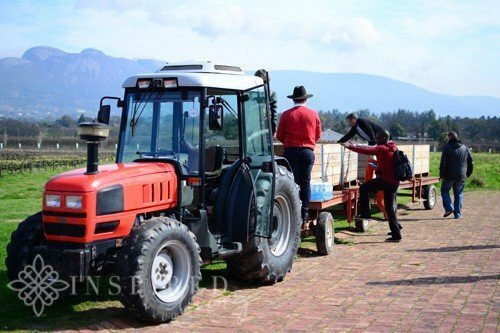 Guests are also able to witness a few of the biodynamic methods and preparations used by Grieve, such as the field broadcaster energy device, which works with natural cosmic energies to improve soil quality and stimulate healthy growth in the vines. Although our ride was a tad bumpy, the picturesque view, as well as the wine stops along the way, made up for any discomfort! 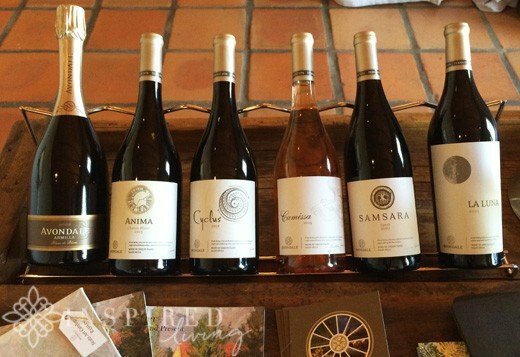 During our tour we tasted a further five wines from the Avondale collection – Camissa, a rosé; Cyclus, a refreshing white blend; Anima, a lively Chenin Blanc; La Luna, a classic red blend; and Samsara, a Syrah. This was particularly special, as we tasted the wines among the vines, in the particular vineyard blocks where the grapes were grown. 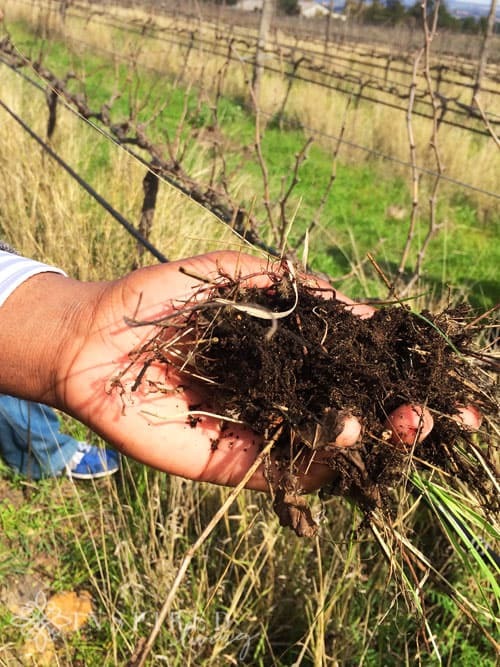 Among other interesting practices, Avondale is also making efforts to restore and re-establish indigenous fynbos species on the farm, clear alien vegetation, as well as plant hundreds of indigenous trees. 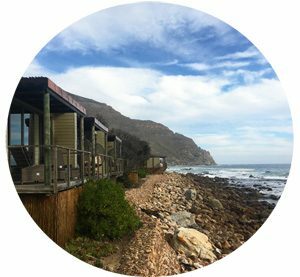 This all forms part of their endeavours, as a member of the WWF Biodiversity and Wine Initiative (BWI). As well as the beautiful plant life, the farm is home to various species of birds and mammals. Grieve’s dynamic BioLOGIC® system is more easily understood, when seeing in action in the vineyards and surrounding land. The farm’s herd of Angus cattle and delightful team of snail-guzzling ducks, are employed as part of the natural solution to managing soil health and dealing with pests, without the use of chemicals. These are just a few of the remarkable ways, that Avondale produces extraordinary wines – approved by Mother Nature! 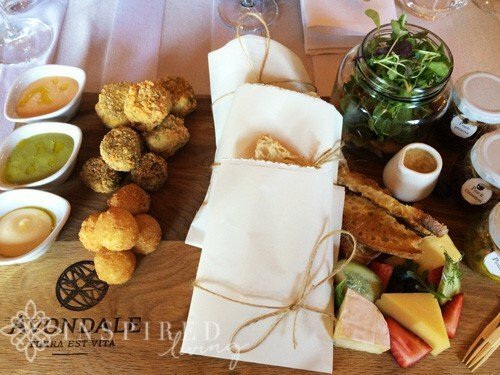 Following our inspiring safari, we were whisked off to the tasting room, to sample the Avondale Lunch Platters. 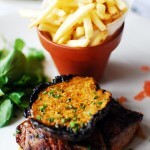 Avondale’s mouth-watering new lunch platters, have been created by renowned chef Matt Manning. The emphasis is on fresh, locally sourced and seasonally available produce. 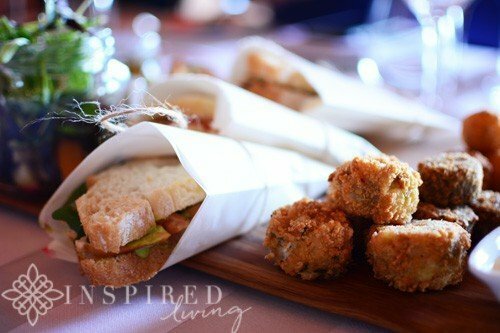 The lunch platters provide an assortment of tantalising flavours, which are harmoniously paired with Avondale’s food-friendly wines. 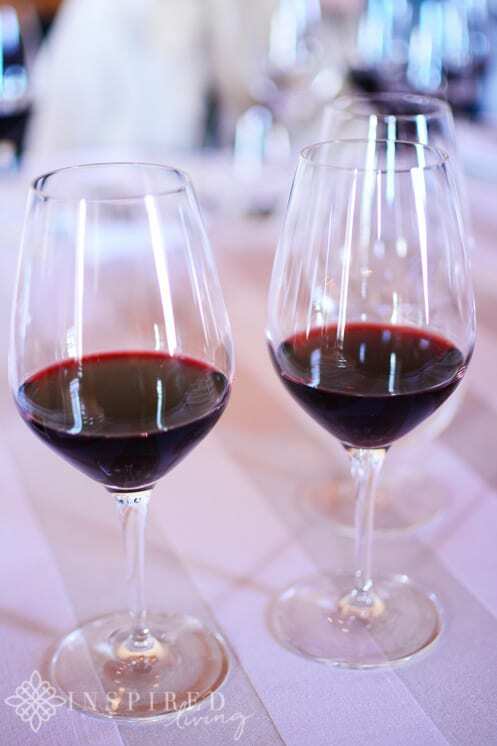 The full range of wines can be purchased by the glass or bottle. My favourite wine of the day was the Samsara, a beautifully intense, ruby red Syrah. Samsara means ‘to flow on’ and pass through the states of life and death. Admittedly by the time we were seated for lunch I was ravenous – it must have been all the fresh air! The menu for lunch was simple, yet absolutely delicious and perfect for sharing. Each platter is sufficient for two hungry guests. When the platter arrived, laden with all sorts of wonderful goodies, it was difficult to know where to start. The first thing that caught my eye, was the selection of beautifully wrapped sandwiches. 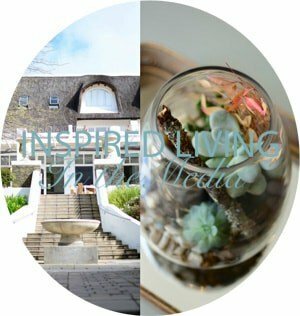 They were filled with a choice of tender Springbok Carpaccio with Huguenot Cheese and creamy Truffle Mayo, Smoked Rainbow Trout with Cream Cheese and Spring Onion, or Smoked Free-range Chicken Breast with Herb Mayo and Rocket. My favourite was definitely the Springbok Carpaccio with Huguenot Cheese and Creamy Truffle Mayo! 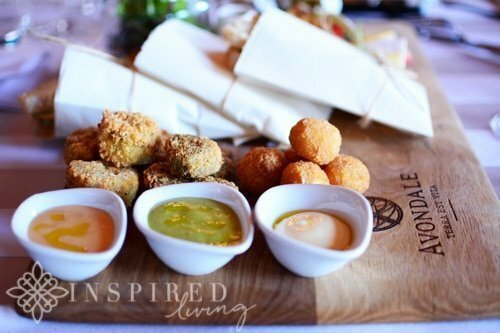 The platter also included warm Truffle and Parmesan, infused Risotto Balls, which melt in the mouth, Lightly Spiced Kingklip and Salmon Fishcakes with a Chilli-spiked Aioli for dipping, and juicy Lamb Kofta served with herb mayonnaise. The Lamb Kofta was sublime, I lost count of how many I consumed! There was also a fresh Salad of crisp garden greens, a spread of ripe Dalewood Cheeses, as well as an assortment of home-bottled Pickles and Compotes. Vegans and vegetarians can be accommodated on request. This experience was truly magical and I would highly recommend a visit to the farm, as well as the Eco Safari and naturally, one would not want to miss the chance of enjoying a delectable lunch platter! Thank you Avondale for a wonderful day! Wine tastings at Avondale are available by appointment Monday to Saturday 10am to 4pm. Priced at R50 per person. The Eco Wine Safaris are held by appointment Wednesday to Friday 10am to 3pm. The duration is approximately 2 to 3 hours, and includes a tasting of 6 wines. Priced at R200 per person. To book, call 021 863 1976 or email wine@avondale.co.za. Lunch platters are served Monday to Saturday 10am to 4pm. 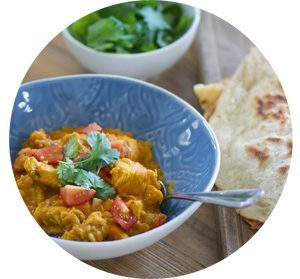 Priced at R320 per platter (suitable for sharing). 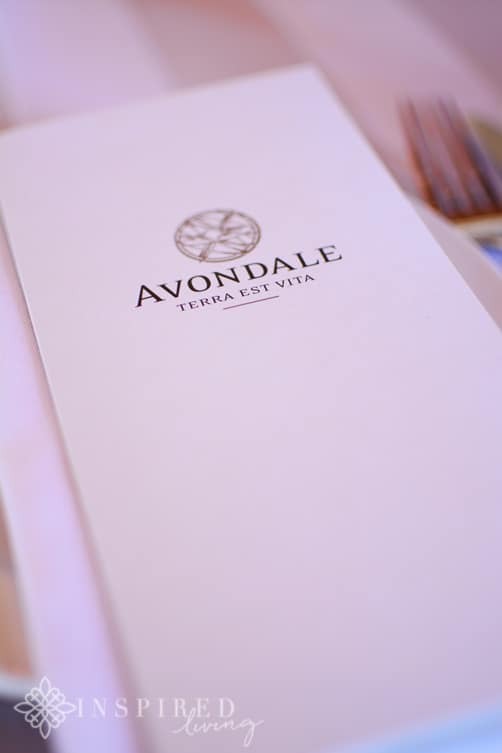 Booking is recommended – call 021 863 1976 or email wine@avondalewine.co.za. 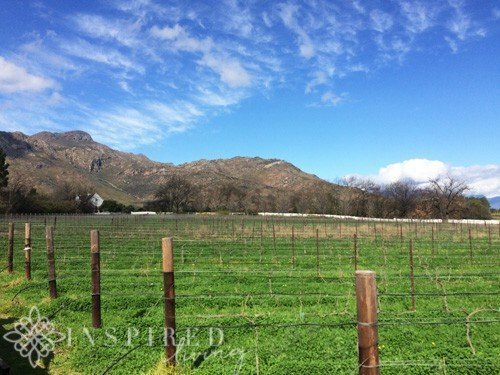 Location: Avondale is situated on Lustigan Road, Klein Drakenstein, Paarl – on the slopes of the Klein Drakenstein Mountains. Contact: For more information, visit the Avondale Website or call 021 863 1976.